URGES all Parties, commencing in 2017, to submit an annual illegal trade report by 31 October each year covering actions in the preceding year and in accordance with the report format distributed by the Secretariat, as may be amended by the Secretariat from time to time with the concurrence of the Standing Committee. Each Party is required to submit an annual illegal trade report on all seizures for violations involving CITES-listed species, irrespective of whether the seizure was made at an international border, or at domestic level for example during the search of a private or business property or during inspections at domestic markets. The annual illegal trade report is mandatory, but not subject to compliance procedures. Guidelines for the preparation and submission of the CITES annual illegal trade report were developed to support Parties in the compilation of their annual illegal trade reports. How to prepare and submit an annual illegal trade report? Each annual illegal trade report should cover the period 1 January to 31 December, of the year preceding the year in which it is submitted. The first annual illegal trade report for example, was due on 31 October 2017, covering data from 2016. The annual deadline for the submission of the illegal trade report is 31 October. Parties are encouraged to use the standard format for the CITES annual illegal trade report, and the Guidelines for the preparation and submission of the CITES annual illegal trade report, agreed by the Standing Committee, when preparing their reports. The annual illegal trade report should be submitted in electronic format (ideally using the standard format in Excel). Submission of PDF files should be avoided as these cannot be easily converted. 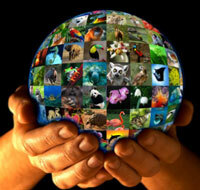 Reports should be sent to the CITES Secretariat in Geneva, Switzerland, at [email protected]. Unless otherwise specified by the reporting Party, the data collected in the CITES annual illegal trade report will be shared with the members of the International Consortium on Combating Wildlife Crime (ICCWC) to allow data to be used in ICCWC global research and analysis on wildlife and forest crime. submit a report at each meeting of the Standing Committee and the Conference of Parties, based on the analysis and other relevant information available through ICCWC partners. Why are annual illegal trade reports important? Annual illegal trade data provides a valuable source of information. By gathering, analyzing and disseminating this data in an appropriate manner, it can become an accessible and valuable tool for Parties to inform their decision making, and support the development of appropriate law enforcement responses to wildlife crime. CITES annual illegal trade reports will also directly contribute to the implementation of the United Nations General Assembly Resolution on Tackling illicit trafficking in wildlife, adopted in 2017, that encourages member States to enhance their enforcement efforts, including through recording and monitoring both seizures and successful prosecutions, to more effectively counter and deter the illegal trade in wildlife. World Wildlife Crime Report - Trafficking in protected species, UNODC (2016).